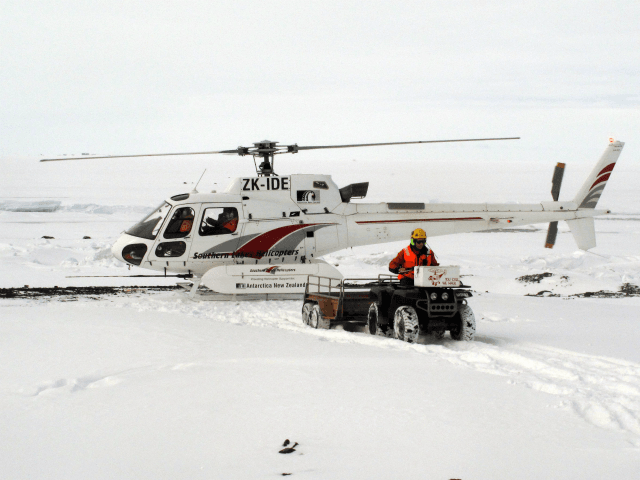 A group of U.S. scientists has had to be rescued by helicopter from Antarctica after being trapped by encroaching ice. You’ll, of course, never guess what the scientists were doing there. The research party, which was studying ancient climate, was led by Alex Simms of the University of California, Santa Barbara, according to the foundation. An employee of the foundation’s U.S.-based support contractor accompanied the group, the foundation said. Say what? Climate scientists researching global warming being caught out by unseasonal cold?